Jamie Carpenter witnessed his father’s murder a few years before the story begins and ever since he and his mother have believed that his father had been a traitor to the country. On the night his father died, he witnessed some strange phenomena outside his house, but had since convinced himself he was hallucinating. That changes when he is attacked by a vampire and barely escapes only to find his mother has been taken by one of the most powerful vampires in the world. 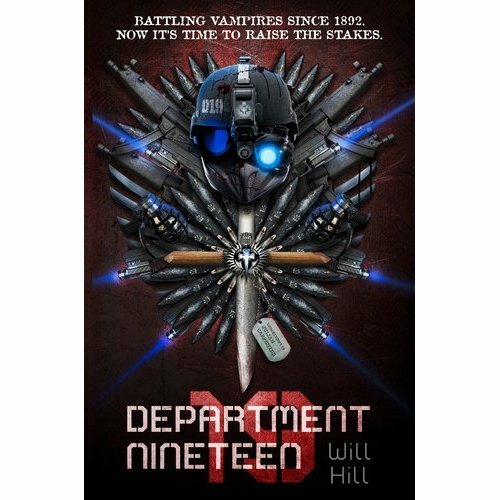 Then, he learns of a secret organization called Department Nineteen that takes care of creatures most people do not believe exist. Despite the fact that many people believe his father is a traitor, he is welcomed in and allowed to train briefly in order to go after his mother. Does he have what it takes to fight vampires for his government? This book has been named an Iowa Award Winner for 2013-2014 and it is easy to see why. Fans of fantasy enjoy the back story of this book as well as the truly colorful characters (Frankenstein is an actual employee at Department 19). There are many twists and turns in the story and the action is almost continual. This book sets up the possibility for many more to come. Recommended. Nina is a vampire who belongs to a group called the reformed vampire support group. This group meets to talk to each other about their difficult lives. The life of a vampire is not as exciting as the movies would suggest for these vampires cannot change into bats, sparkle in the sun, or fight particularly well. Instead they live on small rodents and take supplements, which leave them feeling sick most of the time. They are, however, not a threat to anyone. They are alarmed when one vampire fails to arrive for a meeting and they find him staked in his apartment. They have no idea who could have done this and worry that the same killer could be coming for them. In order to stop this they go on the offensive and start looking for this person, but only land themselves into more danger. 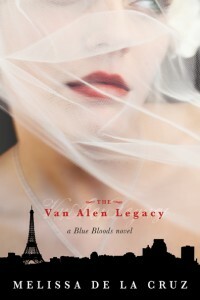 This is a very different vampire story from Twilight and Blue Bloods. These vampires are not glamorous or attractive, but nevertheless feel a need to preserve what little life they have left. It is humorous in parts, but does get a bit long at times. 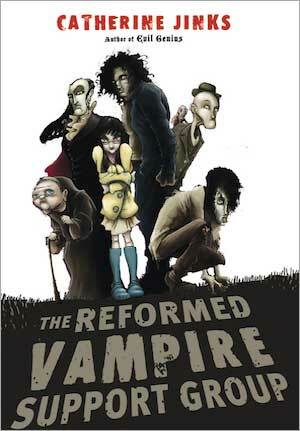 Vampire fans will enjoy this as a lighthearted story, but it won’t be anyone’s favorite vampire book. # of Pages: 351 p.
Jessica is a normal American teenager trying to enjoy her senior year, which seems more difficult when a strange Romanian exchange students comes to stay with her family. Lucius claims to be a vampire who was betrothed to her when they were babies. 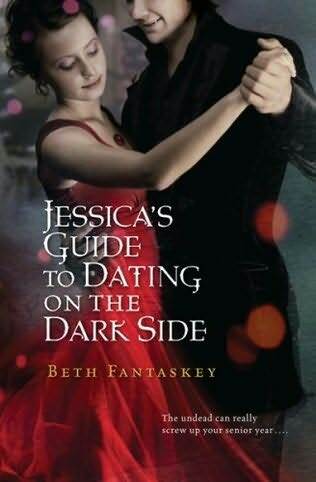 When Jessica turns to her parents for answers she learns that they were asked to raise her so that she would be safe until the pact could be realized. Despite Lucius’s fervent efforts to convince her to marry him, she finds him repulsive and wants to date the normal high school boy, Jake, instead. When Lucius starts dating a cheerleader at school Jessica is unprepared for the jealousy she feels. Is it too late to have Lucius to herself? Does she really believe in vampires? Does she think she has what it takes to join this dark world? This vampire story is very original and engaging. Readers who like vampire fiction will devour this book and wish for a sequel. Of all the vampire books available right now, this one has the perfect mix of the fantasy world readers love to escape to and the real world that teenagers can identify with. The characters and plot are much more substantial than readers might be expecting and will be pleasantly surprised by this title. Highly recommended for fantasy readers. Erin grew up believing she was mentally ill because from time to time she becomes an alter personality, a personality which is extremely violent. Over the years she has visited many hospitals and therapists and is taking multiple medications to try and help her condition. She is very surprised when two friends of hers reveal themselves to be shapeshifters and tell her that she is not Schizophrenic, but in fact many of the hallucinations she has are actual magical things that do exist in this world. The only question is how to convince Erin that she is not crazy and how to stop her alter personality from taking over her mind. This is a complex fantasy story packed into a short amount of pages. 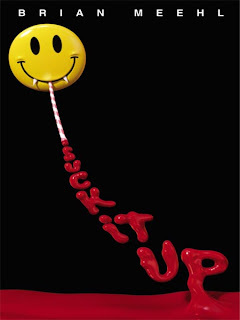 The characters are interesting and multi-dimensional as they struggle to figure out the situation and correct it without causing any undue harm to anyone else involved. Although the characters are not entirely human, they are rational and compassionate when they need to be. Fantasy lovers will enjoy following Erin’s story as it is revealed. The ending is a bit abrupt, but definitely worth a read.